After coming out of bankruptcy in July 2014, Quiznos decided the time was right to adjust its marketing mix. Interviewed in Entrepreneur, Quiznos’ director of interactive and innovation, Tim Kraus, explained the reason for the change in the company’s integrated marketing program. Quiznos will continue to combine print with digital media, while placing more emphasis on digital advertising and video. Within that mix, Krauss said the main focus is on digital video. 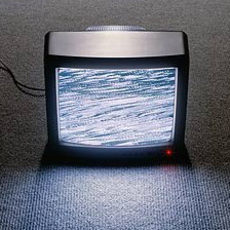 However, the company’s former reliance on traditional television is over. One of the big benefits of online marketing over television is that marketers can easily and immediately see the results of their ads. You can see how many impressions or views the ad got and whether there was a corresponding increase in sales following its posting. Quiznos chose TubeMogul for its online video effort, a digital advertising platform that offers the ability to buy and deliver video ads in real time. The first Quiznos campaign using TubeMogul launched last June. Although advertisers’ overall use of digital is growing, traditional TV ads still account for the vast majority of all ad purchases. For comparison, 2014 digital video ad spending was estimated at almost $6 billion, versus TV spending of roughly $69 billion, according to Emarketer. TubeMogul allows Quiznos to track the type of websites and videos that appeal most to their audience, while using cookies to target individuals in their core demographic. Now, instead of spending thousands of dollars on a television ad campaign and not knowing how well it worked, Quiznos can create smaller digital campaigns and quickly see what attracts customers and drives sales, or not.